What’s worth noting, though, is that, despite the scarcity of local online content, the country has witnessed a sharp rise in internet usage in rural parts. The number of people with mobile internet access reached 87 million in December 2015 – a 99 percent growth over the previous year, according to the IAMAI report. Around 75 percent of new internet user growth is expected to come from rural India, and these users will prefer content in local languages, says a Nasscom-Akamai Technologies 2016 report. The growth in internet usage in non-metros and rural areas owes largely to people buying more mobile phones; though not everyone is going for smartphones, even simple phones these days allow internet usage. Data from the Telecom Regulatory Authority of India (September 2016) indicates a positive growth in wireless subscriptions in Haryana (4.04%), Odisha (2.67%), West Bengal (2.39%) and Assam (2.33%). Delhi, on the other hand, saw a decline in growth rate with only 0.93% increase in subscribers. C-DAC, for instance, is crowdsourcing the work of volunteers for text to text translation of central government websites. The Rs 15 crore project began in 2013, and so far, 60 websites have been translated. The focus largely remains on Hindi, though. 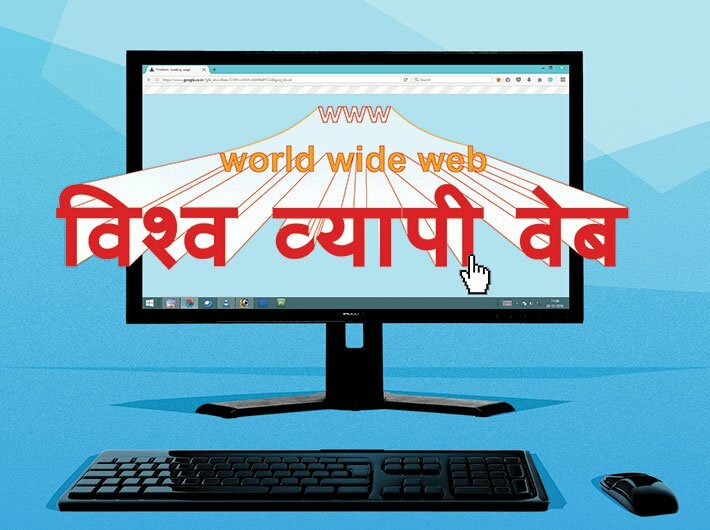 “Some 100 websites have been identified to be made available in Indian languages. But right now we are talking only about Hindi. We are in the process of translating into other Indian languages, for which we have to identify volunteers,” says Moona. Public contributors register on C-DAC’s localisation project management system application and suggest word meanings. There are also C-DAC-appointed members who log in and contribute. A specialist group then goes through the growing corpus, validates the contributions and finalises choices. “Crowdsourced data helps us create a parallel corpus [of words and meanings] that will improve machine translation,” says Moona. Government agencies – and private players too – are free to use the corpus: the IRCTC and Yatra portals of the railways, Bank of Maharashtra, and Snapdeal are already using it. “The quality of translation really depends upon the data resource you create, so that the machine can understand every use of the word and what it means in each context. This is a huge task, but as the corpus you build gets better, machine translation will keep on improving,” says Kumar. However, there’s no deadline yet to make all government websites available in Indian languages. Business has already seen an opportunity and is preparing for the expected surge from rural India. A recent Google ad shows a bespectacled man in shirt and trousers reading a newspaper at a railway station. From among a group of workers squatting a little away comes a voice reading out the very headline the man is scanning. He turns around, irritated, only to have all the headlines read out one after the other. It turns out that one of the workers is getting all his news updates on his smartphone via Google in Hindi. The internet giant’s initiative is one of many that online business is taking to attract more users and eventually profit from it. Snapdeal, an e-commerce platform, has developed a user interface that supports 11 regional languages, including Hindi, Telugu, Gujarati, Tamil and Marathi. “A significant part of Snapdeal’s users come from tier-2 and tier-3 cities and the multilingual interface, developed on the basis of feedback from buyers and sellers, gives us better access to a larger audience and enables everyone across India to explore and transact without any language constraints,” says a Snapdeal spokesperson in an email reply. Digital wallet companies, gaining popularity post demonetisation, are also seeking to expand their footprint through regional outreach: Paytm, which leads the market with 150 million users, is set to launch its application in ten Indian languages. “Our goal is to make payments and commerce more inclusive, and this new feature will help us expand the market to include users who would prefer their native languages,” says Deepak Abbot, senior vice-president of Paytm. MobiKwik, another digital wallet, has also customised its application for Indian languages. “Apps in regional languages will help them understand the wallet user interface better and form the habit of using wallets,” says Mrinal Sinha, MobiKwik’s chief operating officer. But the most popular websites continue to use English as the main language. Nikhil Pahwa, founder of MediaNama, a mobile and digital news portal, says content development in regional languages is held up because there’s no revenue model. “The kind of money local content developers are making is far less than what English content developers are making. Advertising is less because fewer people are advertising in local languages on the internet,” he adds. IAMAI notes that of the Rs 179 crore digital advertisement market, only five percent goes into local language ads. By 2020 though, with growth in local content online, it is expected to grow to 30 percent. The government’s e-bhasha initiative, under the MeitY, is soon to be declared a mission mode project (MMP), which means it will be fast-tracked. “Once that happens, it will be about best practices for web developers to follow. There will be guidelines on how localisation of content is to be achieved and how mobile platforms have to be developed,” says a C-DAC spokesperson. Another is the Sisyphean endeavour of updating translations and following up on changes that websites make from time to time. “Most of the government websites are dynamic – which means they keep changing their content frequently. It’s not as if you translate once and the work is done. It requires continuous updates and continuous management,” says Moona. He also mentions websites that use language as advertisers practise it— indifferent grammar, wayward punctuation, which is especially difficult to machine-translate. Artificial intelligence and self-learning programmes are expected to reach a level of sophistication which will make human intervention unnecessary. But till then, crowdsourcing is the only way out. To overcome the hurdle posed by widespread illiteracy, the government partnered with Indus OS in 2015 to develop text-to-speech technology for smartphones for eight languages that in future can work even without an internet connection. Indus OS already has a wide range of applications in English and 12 Indian languages. It has also teamed up with five mobile makers, including Micromax, Karbonn and Intex, to make the software available. But for this to succeed, memory and operating speeds have to be optimised for low-cost smartphones. The trend towards internet usage in regional languages has been recognised as an opportunity by business. The government has to equally recognise that policy must be geared not only to ease things for business, but also to ensure an equitable and inclusive internet for people from across all languages and, needless to say, classes.